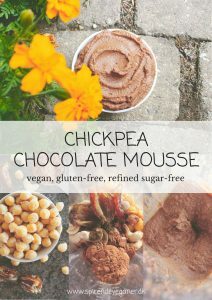 All I can say is that I’m mind blown: a decadent chocolate mousse made with chickpeas and free from refined sugar? And before you even think the thought; you CANNOT taste the chickpeas AT ALL. It’s a perfect dessert to serve for guests in beautiful glasses topped with coconut whipped cream and fresh fruits. Or you could eat the thing for breakfast because you’re shameless and it’s healthy, so so what? I would call it self-care. In fact I’m eating a portion of it on its own right now while sitting on my bed and writing this for you. 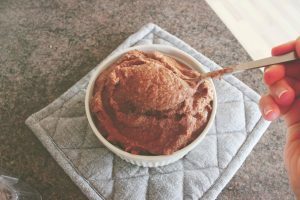 A lot of vegan chocolate mousse recipes usa a base of banana or avocados – mine doesn’t. 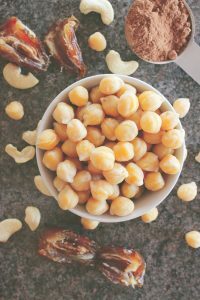 Chickpeas boost the protein-content of this recipe and leave out the banana taste. 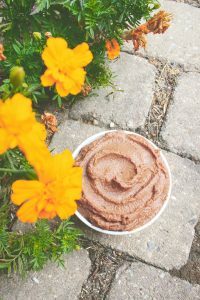 I don’t mind banana chocolate mousse – but my mom, for example, prefers a chocolate mousse to taste like chocolate and chocolate ONLY, so she really likes this one! I created it before summer even started, but I never got a chance to photograph it. And I’m thrilled to be sharing it with you now since it’s one of my best recipes, yet, in my opinion. Psst! 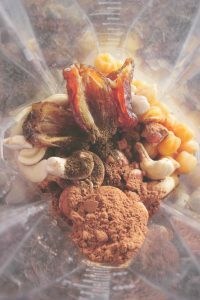 I’ve already created multiple recipes, and I’m planning to shoot one of them next weekend. I’m going to try to update my blog more often, since I’m not exactly happy about my inactivity this year (even though I know it’s going to be hard since I have a… not-so-nice school year ahead of me). you can serve it in so many different ways! it’s chocolate mousse… What else do I need to say? 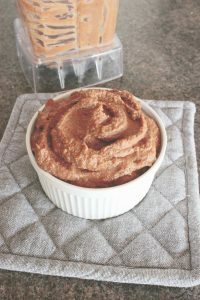 Don’t forget to leave me a comment below and tag me on Instagram (@spirendeveganer) if you decide to try my chocolate mousse. I’d love to read your opinions and see your recreations! 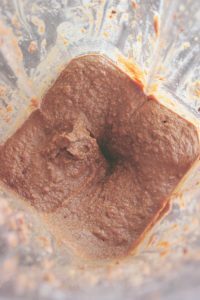 Add the chocolate mousse ingredients to a blender and blend on medium speed for a few minutes or until the chocolate mousse is creamy, adding non-dairy milk and scraping down the blender sides as needed to help the blender operate. Add more maple syrup if you like it extra sweet! Serve the chocolate mousse in any way you’d like – the fancy glass with coconut whipped cream and fresh fruits is one option, but you can use it as a topping for things like oatmeal, pancakes, chia seed puddings, and even as a kind of nutella-spread on toast, too, or simply eat it on its own. Store leftovers of the chocolate mousse in the fridge for up to 5 days (but I’m sure it’s gone a long time before then). 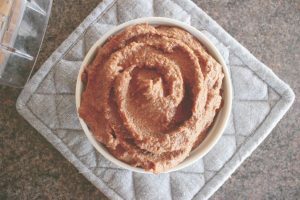 *I forgot to measure my chickpeas after cooking, but if you want to use already cooked chickpeas for the recipe, I think 150-200 g drained and rinsed chickpeas from a can would be equivalent to 75 g dry chickpeas. **I add sea salt to most of my meals – sweet ones included! In this recipe, the sea salt does wonders to bring out the rich chocolate flavour! Please make this for me one day 😉 Sounds amazing and very well written article!